Enlarge / The Apple TV 4K and remote. As we observed in our review last year, the Apple TV 4K has so much potential for gaming. Its hardware is actually pretty powerful given the type of device it is. It shares development tools and infrastructure with one of the most successful gaming marketplaces in the world—the iPhone and iPad App Store. But a recent announcement shows that, instead of thriving as a gaming platform, Apple TV is struggling. Last month, users who logged in to the Apple TV version of Minecraft were greeted with a message telling them that the game’s support for the Apple TV would end. Minecraft is one of the most popular video games, and its particular resonance with families and its relatively undemanding hardware requirements made it seem like a natural fit for the platform. Effective from Monday, 24 September, the Apple TV version of Minecraft will no longer be updated or supported. We’re grateful to the Apple TV community for their support, but we need to reallocate resources to the platforms that our players use the most. Don’t worry though, you can continue to play Minecraft on Apple TV, keep building in your world, and your Marketplace purchases—including Minecoins—will continue to be available. However, we know that this experience isn’t in line with the experience on other platforms, so we will be issuing full refunds on all purchases made within the last 90 days. The game is no longer available for purchase or download. Minecraft is developed and published by Mojang, which has been owned by Microsoft since 2014. But with only a few exceptions, Mojang has made sure support for the game is good even on platforms not owned by Microsoft, like the iPhone and iPad, where the game is still going strong. Minecraft is well-supported on myriad platforms—even PlayStation—so the end of Apple TV support is worrying. Many reports on this news have zeroed in on the controller question. At the launch of the Apple TV’s app platform, developers had to support the Apple TV’s unconventional, touch-sensitive controller. That worked fine for a couple of games, but it was a real barrier to others. The controller was not designed with gaming in mind, and while some pricy, wireless third-party controllers were available for the machine, Apple didn’t make its own. Early in the platform’s life—long before the release of the Apple TV 4K, which has very attractive specifications for game development—Apple lifted the requirement that games support its controller. But the first impression had already been made. And even if developers could release games that required a controller, the lack of a controller bundle for games-minded Apple TV buyers meant that developers couldn’t feel confident they’d find a large audience that could play their games. But there’s more going on here than just controller support. To find out more, we talked to the people who would have the most complete perspective on the Apple TV’s video game credentials. Apple did not respond to Ars Technica’s requests for comment on this story, but apart from the company itself, the best people to ask about Apple TV’s future as a games platform are the developers making games for it. We reached out to Ryan Cash, the lead at Team Alto with whom we have spoken previously about Apple game development. We asked him what he thought this meant for the platform. Team Alto made two beloved premium iOS games—Alto’s Adventure and Alto’s Odyssey. 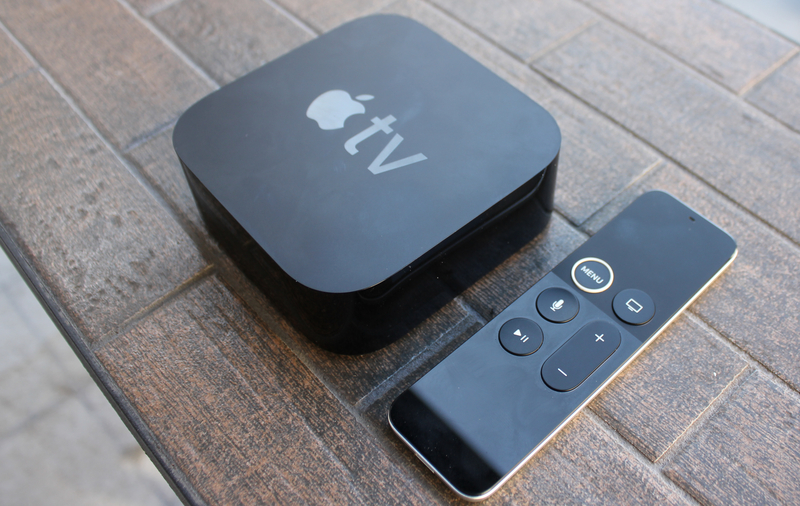 The latter was one of the highest-profile releases on the Apple TV this year. “It doesn’t shock me,” he responded. “I mean, for a game of that magnitude, I can see why they may not find the platform successful.” But he said he considered the Apple TV launch of Alto’s Odyssey a success, though he did not volunteer any figures. Continuing on the subject of Minecraft, he added: “If I were in charge of the game though, I think I’d really try to stay there. While the platform certainly isn’t the biggest, it continues to grow, and it’s a great way for certain types of audiences to experience gaming, often for their first time.” To illustrate that point, he shared a video of a fan’s two-year-old daughter enthusiastically discovering video games through the Apple TV version of Alto’s Odyssey. Games aren’t at the very top of the Apple TV App Store, but they’re close to it. The games storefront on the Apple TV App Store. The Apple TV App Store has curated games lists, so clearly someone at Apple is thinking about this in their day-to-day. There’s even a page for games that work with wireless controllers. There are even Editor’s Choice selections. A game’s store page in the Apple TV app store. Another developer we spoke with, Strange Flavour CEO Aaron Fothergill (Flick Fishing), said Microsoft’s move perplexed him. “It’s not like Minecraft needs a lot of support other than a server, even if they don’t update the Apple TV version. So the thought that it might be political definitely crossed my mind,” he said. In an interview with FastCompany last year, game developer Raw Fury lamented that the Apple TV version of its fairly successful indie game Kingdom: New Lands had only sold 600 copies, compared to 54,000 on iOS and 35,000 on Xbox One. Granted, that was before the launch of the Apple TV 4K, which closed a many-months-long gap in quality between Apple’s offering and some streaming box competitors that may have hindered the device’s popularity. Many developers who bring their games to the Apple TV know it’s not going to be a big mover, bur they bring their games there anyway. One of the most common themes in talks on successful mobile games at the annual Game Developers Conference (GDC) is the importance of maintaining a relationship with representatives of the Apple TV. That’s because one of the best predictors of sales for an iOS game is whether the game is featured in Apple’s curated App Store, along with where and for how long it’s in the store. Developers who support Apple TV may hope to establish greater familiarity with the people who make those decisions for iOS. Many of the successful iOS developers I’ve gotten to know over the years have privately cited the importance of that relationship to their success. And porting games from iOS to Apple TV is often not that difficult or time-consuming, as both platforms use the same development tools and most of the same frameworks. To that point, Raw Fury didn’t say it would never support the Apple TV again—it just wouldn’t do so unless porting from iOS was simplified. As long as the touch controls in the iOS version of a game adapt well to the touch-sensitive Apple TV remote, maybe value can still be found for some developers. He indicated that creating universal apps that work across iOS and the Apple TV is easy, and he talked up the box’s power as a “mini console.” Fothergill said he was able to use Xbox 360 assets in his Apple TV games “as-is” and run the games at 60fps. Sonic the Hedgehog on the Apple TV. There are other classics too, like Chrono Trigger. Inside on the Apple TV. This game was critically acclaimed across all platforms. LEGO Star Wars Microfighters on the Apple TV. Family-oriented games like this are particularly common. Dandara on the Apple TV. It’s another critically acclaimed release. Minecraft might be gone, but there are clones to fill its place, like this game: RealmCraft 3D. Alto’s Odyssey on the Apple TV—a third winner with critics. SpaceTeam on the Apple TV, for a group starship-bridge experience. Modern Combat 5 on the Apple TV, from Gameloft, a company that mass produces bad knockoffs. HQ on the Apple TV. The viral quiz show has seen better days, but it’s still going. Real Racing 3 is on the Apple TV—big game publisher EA is supporting the platform to some degree here. Include an Apple-branded, full-featured controller with every Apple TV. Other developers Ars spoke with also made these same recommendations with varying emphasis—for example, some didn’t believe that a controller has to be included with every Apple TV and that simply offering optional gaming bundles of the device would be effective with the right marketing message behind them. Most of the developers I spoke with seemed to believe the same thing I did when I reviewed the Apple TV: there’s a lot of potential here for this to be the Apple gaming console that people have speculated about for years. But, they add, Apple just isn’t trying hard enough to let consumers know what the TV can do or to make it easy for them to use the TV explicitly for gaming purposes. There’s another angle on all this too: Apple has begun working on a project called Marzipan, which would make developing apps that can be deployed to both macOS and iOS easier than it is today. From what we know about it so far, the relationship from a developer’s point of view could be somewhat similar to that between tvOS and iOS now. The state of gaming on the Mac has often been bumpy, but there’s hope that Marzipan will turn it around with an influx of great games from iOS. If the Apple TV is an indication, though, Apple needs to do more than just offer developers the tools to make games for its platforms. It needs to sell consumers on the fact that these machines are for games. Photo FOMO: What’s stranger, a selfie by a DSLR or a Taylor Swift Fuji?